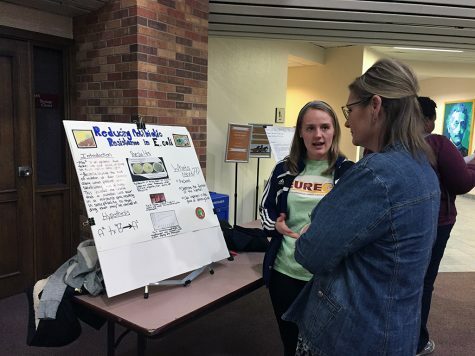 The Clark Student Center Atrium welcomed 44 students from six departments eager to share their recent research discoveries on March 28 at this spring’s Enhancing Undergraduate Research, Endeavors and Creative Activities’ Posters on the Go. EURECA has been mentoring students to broaden their research and prepare them for future endeavors in their field of study since 2013. Magaly Rincon-Zachary, director of undergraduate research, has been helping with EURECA for five years and said she saw the impacts it has on students. Biology junior Bethany Russell focused her research on what she is passionate about, and saw it as being something she hopes to continue after graduation. The experience a student gains from EURECA is what helps benefit them in the long-run, according to Russell. EURECA allows students of various majors to have the opportunity to conduct their own research with the help of a mentor. Bilingual education senior, Montserrath Garay hopes that by being able to present their discoveries in front of students, students will become inspired to conduct their own. Math senior, Vincent Rodriguez said he has attended EURECA events in the past in hopes of finding a presentation that interests him. 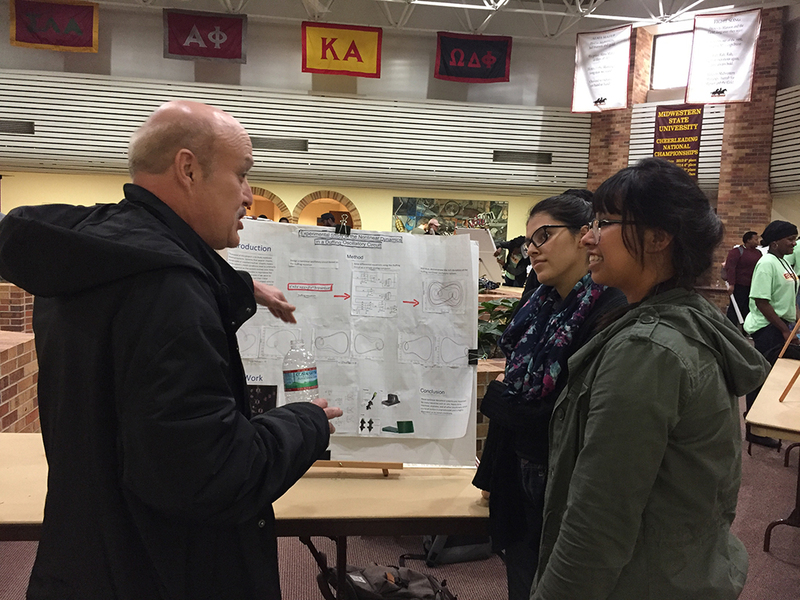 This semester Garay’s research over bilingual education caught his eye. 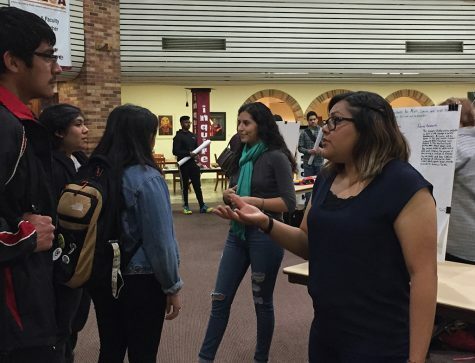 “Last semester I did a research essay over the education system and how some of their laws/rules and schools/districts are not actually representing bilingual education in a sufficient manor,” Rodriguez said. Rodriguez said he sees EURECA as an opportunity for students to be open-minded and listen to what other students have to say. “So, what we’re looking for is just a backwards influence, an influence from [Leo] Tolstoy and [Fyodor] Dostoyevsky to the likes of [Charles] Baudelaire or Arthur Simmons or any of those other English and French decadence authors,” Horton Said. Horton is new to EURECA and said he enjoyed being able to express his passion for English and literature. Though he said he is unsure if he will participate in the upcoming semester, he feels he might in the future. Rincon-Zachary has been a professor for 26 years and said he enjoys building the professor to student relationship into friendships, making it easier for students to relate and learn more about their field. With events like EURECA, students are able to dive deeper into their field and create a more hands-on learning experience, and that is the ultimate goal according to Rincon-Zachary. “The goal is that everyone at Midwestern will graduate at-least with one signature experience,” Rincon-Zachary said.